A typical display of models at an exhibition Model Engineering is a difficult hobby to define. It is clearly associated with making "models" (that is small scale versions of some item), but the hobby also encompasses clock-making and tool-making for the workshop. The best known section of the hobby involves model steam engines, both stationary and locomotives, which can involve both railway (railroad to Americans) and road going vehicles. Other areas include model steam-boat plant, petrol and diesel engines, model agricultural machinery and, recently, model machine tools. Generally speaking model aircraft are not considered part of model engineering although model boats frequently are. The hobby revolves around the manipulation of mainly metals, particularly using machinery such as lathes, drilling and milling machines. Having said this a considerable part of the work involves hand tools: saws, files, taps, dies, etc. 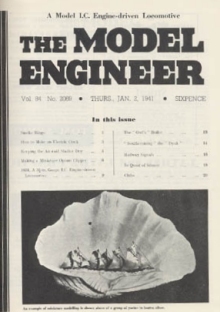 For many years the Model Engineer was the accepted journal of model engineering. It was first published in 1898 by Percival Marshall, himself an enthusiast. It is printed bi-weekly to this day, although now by a large organisation, NEXUS Publications. The magazine provided the vehicle for designers to publish articles describing models that could be made, often with details of constructional methods. 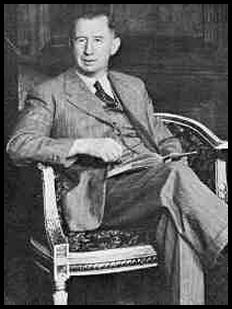 Well known contributors over the years have been Edgar T Westbury, "LBSC" ("Curly" Lawrence) and Martin Evans. Shute would undoubtedly have had a subscription to the magazine, which is the most common way for people to purchase it. More lately a rival publication has appeared, Engineering in Miniature. This is produced by TEE Publications and many regard this as a superior magazine now. TEE Publications are more closely associated with Model Engineering affairs, whereas NEXUS Publications are a publishing house producing many different magazines. The two articles about Shute refer to models that he constructed. The two completed models are "Stuart Turner" models. These are a very popular range of models that have been produced since 1898 when a Mr Stuart Turner designed the No 1 Steam Engine and described it in the Model Engineer. He established a company selling the castings to produce the engine and rapidly developed a range of models, mainly of stationary steam engines. The company has changed hands and has moved from its original base at Henley-on-Thames near London, to the Channel Island of Guernsey and is now known simply as Stuart Models. The kits for many of the engines are particularly suitable for beginners as they include all the materials and fasteners (nuts and bolts etc) needed. Shute built a No 800 Gas Engine first, and he added some modifications. This model was dropped from the range, re-introduced during the 1990's and has now been dropped again. In the 1995 catalogue this is described as having a 1½ in. bore and 2¼ in. stroke making it quite a large model. In 1995 only the castings and drawings were supplied, the builder having to source other parts himself. This engine would have required a sparking plug and it is likely that obtaining this gave Shute one small detail later used in Trustee From the Toolroom. The later model was a more standard one, the Double Ten steam engine. This is still in production today and can be bought as a kit of castings and materials, a set of finished parts or as a finished assembled engine. For more information on Stuart Models, or if you wish to start out in Model Engineering yourself (!) their website is: www.stuartmodels.com. Shute also wrote a letter to the ME describing how he adapted his shaping maching (a sort of planing machine for metal) to operate as a powered hacksaw. There may be parrallels here with Sol Hirzhorn in Trustee, who "did not strain his dubious heart by cutting the thick metal with a hand hacksaw", but "had a little bandsaw powered by an electric motor". Was this why Shute adapted his shaper in this way ? Being the owner of a dedicated powered hacksaw however I can testify to their usefulness whatever ones medical state !